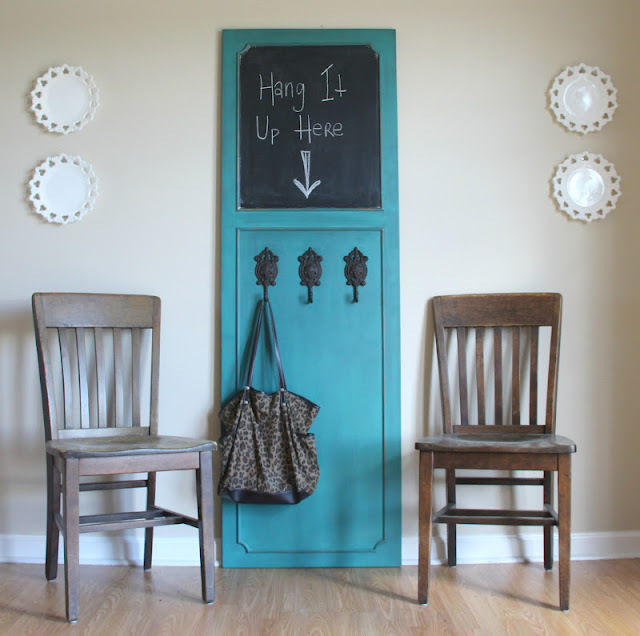 Get your junk organized in style with this door hanger - chalkboard! This extra large door is painted in Annie Sloan Florence & Abusson Blue. 70 inches x 23 inches with beautiful iron hooks. Comes with a french cleat hook on the back for easy wall mounting.